Seventeen Corinthian columns define the exterior of this turn-of-the-century home. 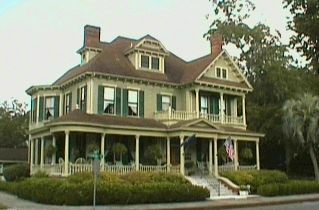 Made of Georgia cypress, the columns grace front and side porches hung with ferns and lined with comfortable rocking chairs and wicker swings. Visitors follow the white Georgia marble front steps onto the porch, to find a pair of double front doors featuring a shield design of delicate etching and stained glass. 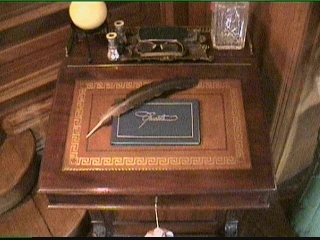 These authentic details have made the McKinnon House one of the most photographed houses in Brunswick and earned it a role in the movie "Conrack". Inside, a lovely handcrafted staircase dominates the reception hall. This staircase is made of Tennessee white ash, as is the intricate woodwork on the walls and ceilings throughout the house. 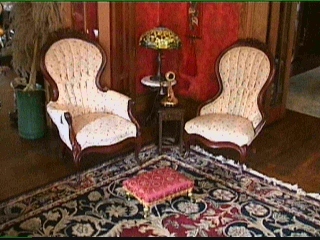 To the left and right are the sitting room, parlor, and dining room, each furnished with museum quality pieces from Charleston and New Orleans. Individually designed mantelpieces surround each of the nine working fireplaces in the house. Although each is unique, most retain the column motif begun with the exterior columns. Preserved with loving respect for architectural integrity, the house is replete with special details that bring to life the Victorian age. Converted gas light fixtures, original oak and pine floors, gleaming brass and silver, fresh flowers, and candlelit rooms at twilight all create an elegant and authentic setting. Guest may choose one of three bedrooms. Downstairs, the Violetta Room is decorated in the grand Victorian style and has a private bath with footed tub. 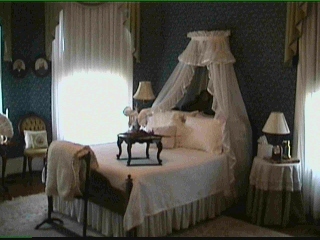 Upstairs, the Blanche DuBois Room has romantic touches reminiscent of the Old South and offers king size accommodations with an adjoining bath. 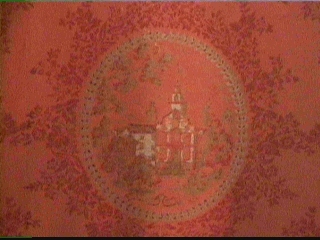 The Bonnie Buttler Suite features a nursery motif and is complete with an adjoining sitting room. Warmth and happiness emerges from every room where charm and beauty is a way of life and time has no meaning. In keeping with the finest of Southern traditions, a gourmet breakfast is served in the dining room. Guests are encouraged to consult with the innkeeper as to menus and time. Complimentary afternoon refreshments are served in the parlor or on the veranda. Located just a few miles from Interstate 95 and only minutes away from the amenities of the Golden Isles resort areas, St. Simons and Jekyll Isle, the McKinnon House meets all Georgia requirements for lodging and food services licensure. Premises are fully air-conditioned and protected by a state-of-the-art security system. Smoking is not permitted within the house and although loved, pets are not accepted. Accommodations are available by advance reservations only and require a minimum one-night deposit. Rates: rates vary depending on the season, amenities and accommodations plus all applicable taxes. Complimentary gourmet breakfast is included. Please inquire regarding current rates and availability. 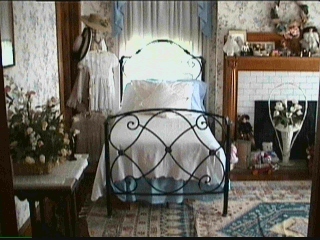 The McKinnon House B and B is the perfect place to savor the bed and breakfast experience. Surrounded by family heirlooms and splendid period furniture, visitors can indulge in the graciousness of a by-gone era and the charm of Southern hospitality. Situated in the heart of historic Old Town Brunswick, the Victorian house was completed in 1902 as the residence of lumber magnate L.T. McKinnon and since 1993 has been the home of the innkeeper, Jo Miller. Welcome to McKinnon House B and B! Please click image for larger view.